House of Good and Evil is an interesting film but not for the reasons that most people go to movies. Although it’s kind of all over the place with possibilities (Is it a haunted house? Is it a creepy neighbors flick? Is it a revenge movie? Is it a what’s-behind-the-locked-door movie? ), it ultimately lands on the slow decent into madness category. From the opening, we see a tragedy unfold, the kind of tragedy that would mentally scar anyone-a couple lose an unborn child due to a domestic fight. What follows is a very disturbing progression of events in the life of Maggie. It’s difficult to talk about this without major spoilers. 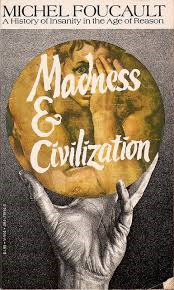 The title gives an interesting clue to the theme of this movie and one that French philosopher Michel Foucault wrote about in his book Civilization and Madness: The Moral Judgment of Madness: Passion makes Madness possible. Classical views of madness were that it was thought to be caused by an imbalance of The Humors (bodily fluids thought to influence thought, health, and behavior). After that, popular thought shifted to the belief that madness was caused by animal spirits invading the body. Both of these concepts viewed the source of the madness as something INTERNAL; however, things shifted again and it was outside influences of lifestyle that became the culprit. These lifestyle influences led to mental states of hysteria and hypochondria. It was through this view that Madness became seen more as a punishment for lifestyle choices. So, is Maggie’s madness caused by her lifestyle choice? An argument could be made that staying with a man who abuses you and leads to the death of your unborn child would be a choice worthy of punishment. But is it a vehicle for madness? Madness works in its own bizarre kind of logic. It takes information (like an image) and muddles it around in the mind and organizes it differently through language and the ultimate irony is that the language of madness is actually reason, but it’s reason through the lens of the bizarre logic. It structures perception, not reality. That’s why they say crazy people don’t know they’re crazy. The world they see, the images they interpret make perfect sense to them. We find out that is exactly what Maggie is going through. The character of Maggie in this film has similarities with Hamlet (that’s right, I said Hamlet!). Hamlet is set apart from everyone by his overwhelming grief of his father’s death. It’s easy to imagine a mother’s loss of an unborn child being traumatic enough to cause the kind of mental anguish it takes to influence the mind. But Hamlet’s is an “antic disposition,” a kind of false madness (or so he wants us to believe), while Maggie’s is a desperate attempt to convince herself that everything is okay in her world. At the end of the film, we see just how desperate. The rest of the court is celebrating the new marriage of Claudius and Gertrude. Chris (Maggie’s husband and abuser) is celebrating the purchasing of the new house. Again, Maggie is on the outside of this positive emotion, similar to Hamlet, but for me, Maggie has more in common with the other tragic crazy person in the Shakespearean play…Ophelia. That’s right, good old forgotten about Ophelia. Laertes calls Ophelia a “document in Madness.” Like the character Maggie – I wonder if these are women as madness or madness as women? Situational forces can contribute to one’s loss of mental acuity, and the situation almost from the beginning is NOT what we think it is. It’s not the cleverest of plot twist and you kind of seeing it coming if you’re paying attention, but it’s still shocking in “A Rose for Emily” sense. I think the best description of what’s going on here isn’t just madness…it’s melancholia. To steal another line from Hamlet, “By indirections find direction out” (II.ii.6), that’s what this film is attempting. By misdirecting us, it’s leading us straight to a universal truth about the nature of our mental fragility. Descartes believed that passion is the place where the body meets the soul. House of Good and Evil shows us that it’s Passion that makes Madness possible.